Surrounded by lush tropical flora and the most stunning views of the Pacific Ocean & Marietas Islands. Alluring ocean views. Hippie chic style. Designed by renowned architects Juan Collignon & Manolo Mestre and interior designer Karen Collignon, Casa Koko represents the best of barefoot luxury style. 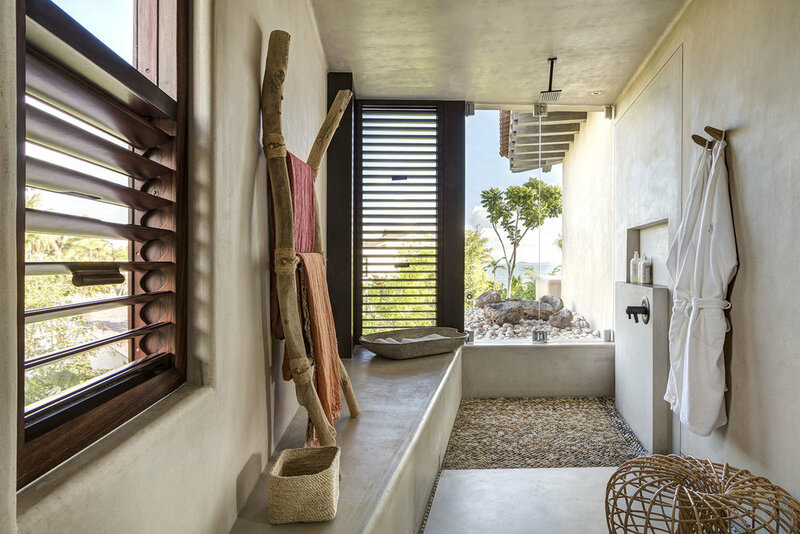 Casa Koko is a breathtaking 9-suite private oceanfront villa, featuring stunning en-suite bathrooms, perfect to accommodate up to 22 guests (18 adults & 4 children). Located amidst Punta Mita’s exclusive residential community and designed by renowned architect Juan Collignon & interior designer Karen Collignon, Casa Koko is a breathtaking 9-suite private oceanfront villa, perfect to accommodate up to 22 guests (18 adults & 4 children). This magnificent vacation rental villa comes with Golf Premier Membership to St. Regis & Punta Mita amenities, and it is fully staffed with Concierge, House Manager, private Chef, waiters, maids, and a driver with transportation, making our guests feel well-pampered when staying with us. Two oceanfront master suites, two ocean-view guest suites, five garden bedrooms, all of them with en-suite bathrooms, a dining terrace beneath a palm-thatched roof, spa sanctuary, fitness room, jacuzzi and an infinity pool fading into the Pacific ocean’s horizon make Casa Koko the ultimate family or group getaway destination. Your luxury getaway is waiting.